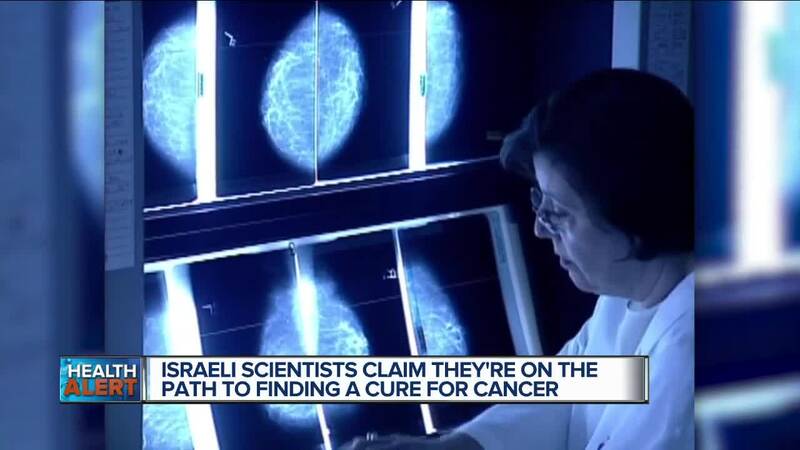 (WXYZ) — Is it possible that a cure for cancer will be available in one year’s time? A team of Israeli scientists believes so. The treatment is being called MuTaTo, which is short for multi-target toxin. It’s developed by a company called Accelerated Evolution Biotechnologies Ltd. Now the scientists who came up with this say that cancer cells are killed off using a multiprong approach – which is a combination of cancer-targeting peptides and a strong toxin. Now peptides are seen as a promising approach to treat disease. They’re small protein fragments that can penetrate cell membranes. And the scientists who developed the MuTaTo treatment say it acts similar to an octopus and can get into small places that other large molecules can’t reach. Question: Is this a potential game-changer in the fight against cancer? This sounds very encouraging. This certainly does sound encouraging. The cancer treatment is said to be very cost-effective and have no or very minimal side-effects. The researchers are predicting that a patient could potentially complete their treatment after only a few weeks. And the goal is to provide personalized treatment for each patient, meaning they would be given a specific molecule cocktail that works for them and cures their disease. Question: Let’s look at some facts, how likely is this “cure” to become reality? The company has said they’ve done an exploratory mice experiment with consistent and repeatable results. This is a good first step. But we all know just because a treatment works in mice, doesn’t mean it’ll work in humans. However, a round of clinical trials are the next step for the MuTaTo treatment, but the researchers predict it’ll take a few years to complete. So I’m not so sure how they might have a cure-all for cancer by this time next year. Also, it’s very important to know that cancer is not just one disease. It’s multiple diseases that are very complex with different types of tumors and locations. We’ve heard of cure-alls for cancer in the past that unfortunately have not panned out. So let’s be cautiously optimistic, I just don’t want to provide false hope for cancer patients.